While the headlines from the Canadian Real Estate Association may highlight the nearly seven per cent spike in the average price of a house, analysts say that for most of the country, the housing boom appears to be over. While the headlines from the Canadian Real Estate Association may highlight the nearly seven per cent spike in the average price of a house over the past year, analysts say the real story is that for most of the country, the housing boom appears to be over. According to CREA, the average price of a Canadian home sold in June was $413,215, up 6.9 per cent from June of last year. But that data is somewhat skewed by hot housing markets in cities like Vancouver and Toronto, where the average price of resale homes came in at $800,362 and $555,430 respectively. CREA noted that if those two cities are stripped out of the picture, the average Canadian house is worth a "more modest" $336,164 and the annual increase shrinks to 5.2 per cent. "Across the country you can find a few major markets that are very, very strong but you can find most of the communities are not very strong at all right now," said housing economist Will Dunning. "In a lot of those areas, the numbers are even weaker than one might hope for. The economy is slowing down in a lot of places and the housing market is part of that slowdown." "The strength is in Vancouver, Calgary, Hamilton and Toronto and you don’t see as exciting a story almost everywhere else in Canada." While the Canada-wide number is very strong, it hides very sharp regional differences, Rabidoux said. For instance, in Hamilton, the average price of a home lists around $400,000; in Calgary around $460,000. But Regina home prices average just $300,000, in Halifax, they average $275,000 and in Quebec City, just $268,000. And in those regions, prices have either cooled or dropped altogether. “Outside of a few major metros, the boom is over," he said. "In fact, we’re seeing now a number of markets that are seeing weakness that we haven’t seen in 20 years. And that’s very much being hidden by this incredible strength in Toronto and Vancouver." "So it’s very much a story right now about the haves and the have-nots and that’s sort of hidden in the [CREA] headline," Rabidoux said. "You've got this very severe imbalance between supply and demand. And you have the exact opposite dynamic in Vancouver, Calgary and Toronto where you’ve got not a lot of supply and a lot of demand," Rabidoux said. "We really haven't seen a national market like this where we have such sharp regional differences." In provinces like Manitoba and Saskatchewan, sales continue to be reasonably strong, Rabidoux said, but there is "unprecedented inventory" on the market. "Especially in places like Winnipeg and Regina, you have these extremely soft markets. and that's going to keep prices very weak for probably another year." Ontario is a bit of mixed bag, he said. Sales are strong in Toronto and Hamilton, but weaken once you head east. 'There you have weak sales, all the way from Ottawa. Every major metro from Ottawa east has weak sales and record high inventory." 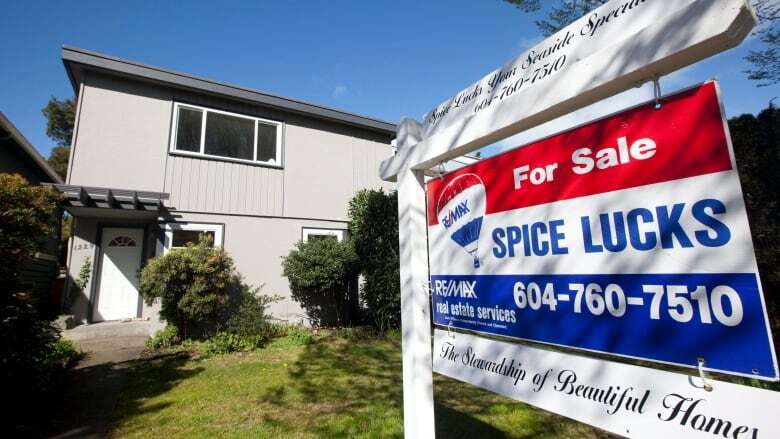 David Madani, an analyst for Capital Economics, agreed that the boom is over in most of the country but expressed concern over the role played by Toronto and Vancouver in the overall housing market. "It really is just Vancouver and Toronto holding things up which actually makes me more worried about the overall housing market because I know Toronto and Vancouver are the trouble spots," he said. "So the fact that they're propping things up isn't encouraging at all." As well, affordability is a "major problem" for both cities, Madani said. In Vancouver, housing prices are roughly 10 times income, which Madani says is "historically off the charts." Toronto housing prices, meanwhile, are around seven times income. "I think the low interest rates have become a curse, not a blessing for the economy because it's encouraging people to pay even higher prices for housing relative to their income," Madani said. "And when interest rates start to creep back up, affordability will become an even greater problem." When that happens, Madani said there will be a much larger decline in home sales, and when prices begin to drop nationally, prospective home buyers, seeing prices edging down, will postpone or delay their purchasing decision. With sales falling even further and the market price for a home falling, everyone who owns a home will see the value their home go down, Madani said.